I wrote “Henge-no-Jutsu”. 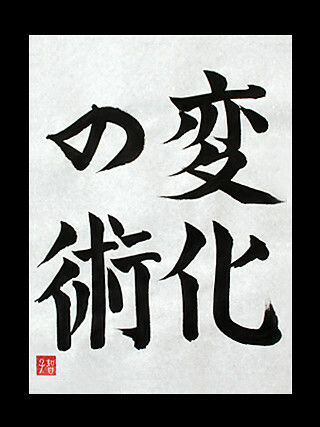 It means “The Atr of Change” in English. Henge-n-Jutsu is one of the famous ninjutsu. Naruto Uzumaki use Henge-n-Jutsu and transform to glamour girl in NARUTO. Next Post I played Origami.